Minister of Petroleum resources, Alison-Madueke has clarified issues relating to the reported revocation of oil leases renewal granted ExxonMobil in 2009. The Minister noted at a special news briefing in Lagos that review of the process revealed that the renewal was not properly executed and was therefore not in compliance with the provisions of the Petroleum Act of 1969. The Act Empowers the Honourable Minister of Petroleum Resources to cancel leases that are not properly executed. She said: “Just a few days ago, the papers were awash with the news that my ministry invalidated the ExxonMobil oil lease renewals granted to them in 2009. Our review of the process revealed that the renewal was not properly executed and was therefore not in compliance with the provisions of the Petroleum Act of 1969. The Petroleum Act empowers the Honourable Minister of Petroleum Resources to cancel leases that are not properly executed. The company had earlier said that it would work with the federal government to resolve “confusion” about the status of three oil leases following a media report they have been canceled. 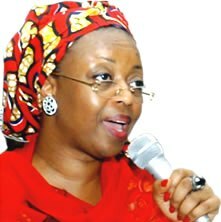 Oil leases 67, 68 and 70, which together produce 580,000 barrels of crude a day, were nullified by Petroleum Minister Diezani Alison-Madueke in a March 4 letter to Exxon Mobil. Negotiations for 16 oil blocks operated by companies including Exxon Mobil, Royal Dutch Shell Plc and Chevron Corp. have been under way for two years. Exxon Mobil was the only energy company to have its licenses renewed when it signed a deal in November 2009 covering oil leases 67, 68 and 70. Shell and Chevron remain in talks with Nigeria on renewing their expired oil licenses. China National Offshore Oil Corp. had expressed an interest in taking over some of the permits, raising concern they wouldn’t be renewed. Nigeria, Africa’s top oil producer, is the fifth-biggest source of U.S. oil imports. Shell, Exxon Mobil, Chevron, Total SA and Eni SpA run joint ventures with the state-owned Nigerian National Petroleum Corp., which pumps about 90 percent of the country’s crude. Worlds top 21 largest oil refineries. Oil falls below $98 amid stronger US dollar.